Appraisals are included with USA placed orders priced over $300.00. 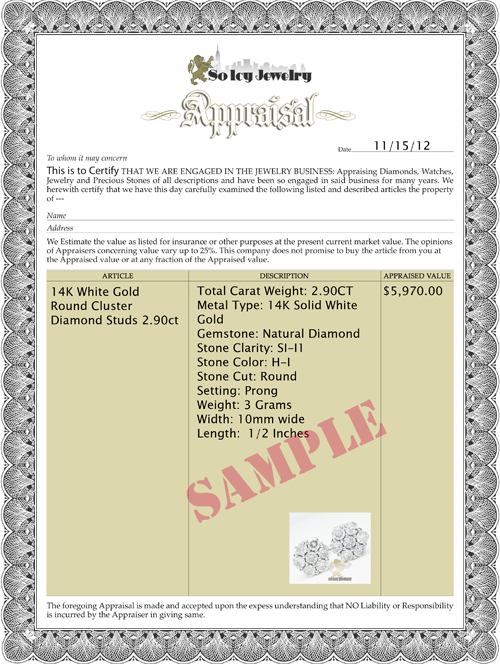 Appraisal are only included with diamond jewelry orders. Appraisals are available for non qualified items only upon request. you must email or call us for more information. Below is a sample of the appraisal that is included with orders.